Amazon Just Poached One of Google's Brightest Minds, But Why? Amazon already offers its own tablets and even a smartphone to challenge Google’s hardware lineup, but in the future the retail giant might just introduce its own version of Google Glass as well. Over the weekend Glass creator Babak Parviz announced that he was leaving Google X for Amazon. Parviz doesn’t reveal what he’ll be doing at Amazon, simply saying that he’s “super excited” about the new position. His work at Google X was largely focused on creating a smart contact lens that would take the concept of Google Glass to new levels; the heads-up-display device served as a sort of pit stop on the way to completing his final vision. Earlier this year, Google chose Ivy Ross to take over the department and to apply her marketing expertise to Glass, leaving Parviz to pursue his own research. It’s unclear if Parviz will apply his research to Amazon’s current products or if he will continue to work towards his intelligent contact lens. The recently-announced Fire Phone already offers one of the smartest camera rigs we’ve ever seen on a smartphone, but Parviz could help make it even smarter. 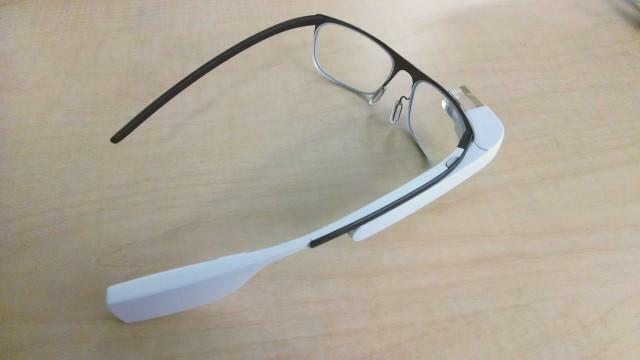 It’s also possible Amazon is hoping to launch a Google Glass rival, though it could be years before we see its release.